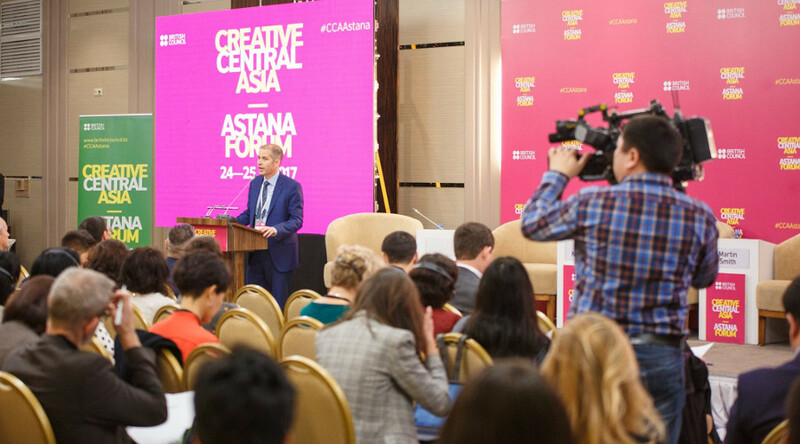 On November 24-25, 2017 Astana hosted the first Central Asian forum in the field of creative economy “Creative Central Asia”. 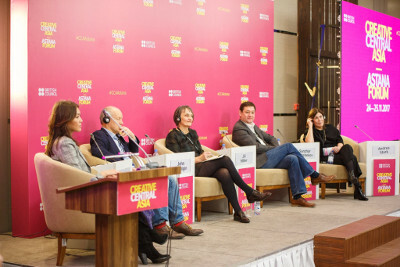 The forum gathered more than 100 leaders in the field of creative and cultural industries from Great Britain, Kazakhstan, Kyrgyzstan and Uzbekistan. Cultural Dialogue wrote several theses at the end of the forum. – Creative economy is an industry that includes creative and cultural products that have not only market value, but also cultural value. 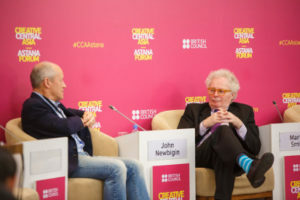 – The cultural and creative industry has become the focus of political discussion recently, it took 20 years for Great Britain to show the value of development of cultural and creative products. – Global trade in cultural products grows every year by 14 percent. – The cultural and creative industry is the only industry whose revenues grew in the global crisis of 2008, while trade in other industries fell by 10%. – The creative sector generates jobs 2 times faster than others. – The cultural and creative industry is more stable in the era of robots. World trends show that many professions will disappear, especially low-skilled work, which will be replaced by robots. Therefore, ideas, talents and creativity come first, which are inherent only for human brains. – Creative economy diversifies the raw material dependence of countries. – Kazakhstan needs to develop a creative economy, for sustainable development of the country on the one hand and on the other hand, not to squander the main asset of the planet – minerals. – It is necessary to develop cities. It also becomes important. Now the competition is not between states and nations, but between the cities of New York, London, Hong Kong and Shanghai. – Talents are everywhere, it is necessary to give them an opportunity for their creative realization. 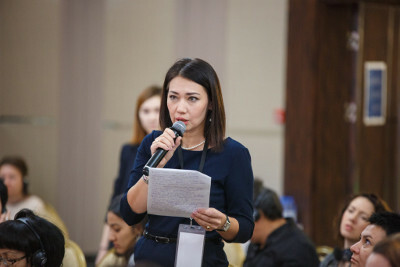 – Almaty has great chances to become a cultural center, attracting various creative and cultural projects and developing a creative economy. – It is extremely important to invest in your talents. Education gives such an opportunity. However, this should not be an academic education only. Today education differs arts, IT and management, and they have to work in compatibility with each other.